Ghostbusters: Now Hiring VR Game Out Now | Nerd Much? 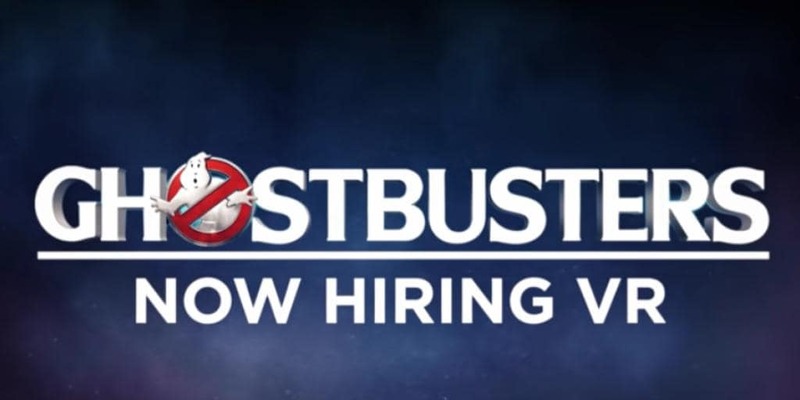 Without any fanfare at all, Ghostbusters: Now Hiring has busted into VR from developers CreateVR and creative input from the original Ghostbusters director, Ivan Reitman. The announcement first appeared in an interview with io9, in which Reitman discusses the Ghostbuster franchise’s future after the last film’s flop. To be clear, it is the first act of the game, titled Firehouse, that is available thus far at the PlayStation Store and Google Play. As such, you can play the game on VR devices available to both venues, which I believe include the PSVR, Google Daydream, Cardboard, Samsung VR, and most other VR devices that require a phone to operate. Firehouse puts you right in the middle of the recruitment stage to become a Ghostbuster. Of course, things immediately go wrong before you can even arrive. Good ol’ Slimer shows up to ruin the day and it’s up the player to run around the city and catch him. The episode is only about 10 minutes long and designed to be mostly a tutorial leading up to the rest of the game in future chapters.